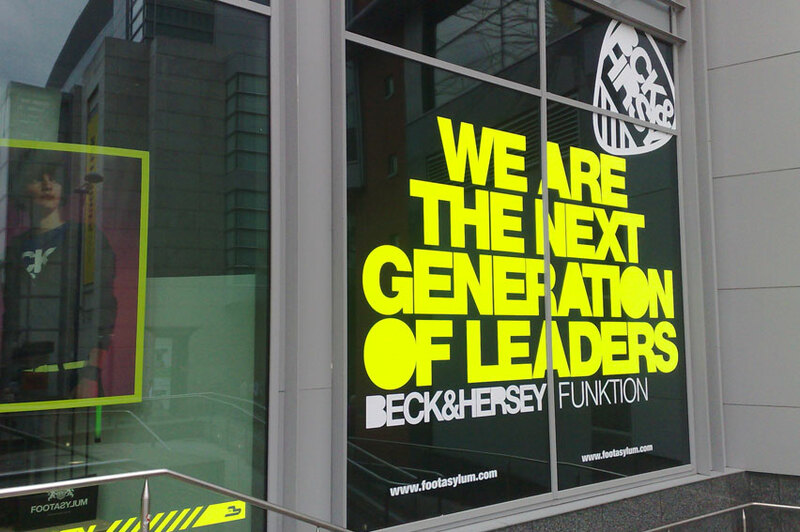 Make the most of your window space with our high impact digital, vinyl and frosted glass window graphics. Stretford Studios specialise in designing and producing eye-catching window graphics using digital full colour prints and computer cut vinyl lettering and we will even install them for you at a little extra cost. Our window graphics can be applied to either the inside and outside of the glass and are available in a wide range of finishes. 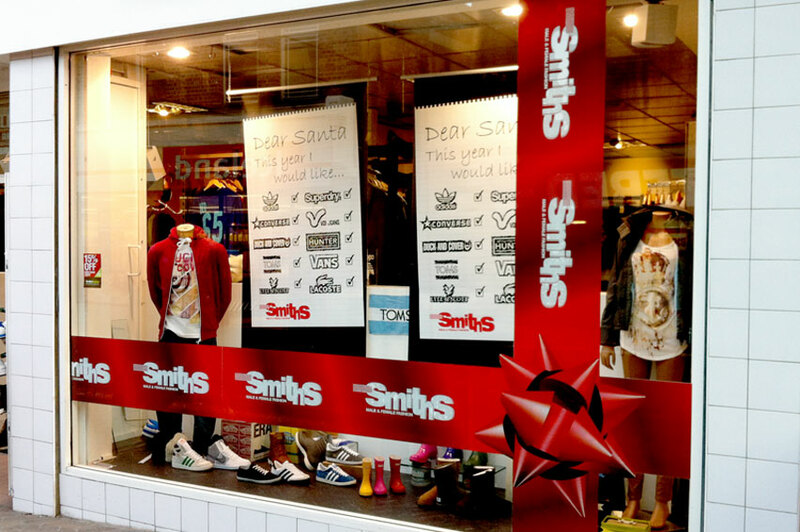 Be it permanent displays, 'contra-vision' vinyls or removable 'self cling' vinyls we can produce it. From design to installation. We can provide the ideal solution to ensure you maximise impact. 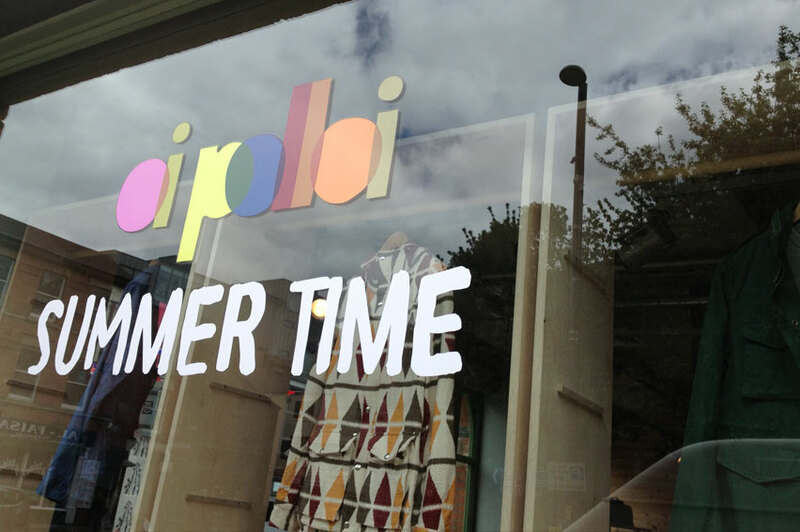 Window Graphics often represent a company, or retailer's, most prominent advertising space. 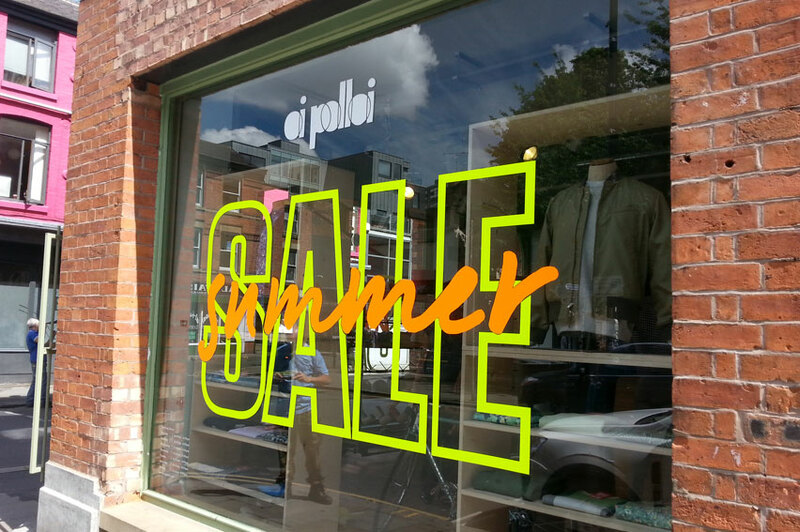 Correct use of window graphics can not only improve the presentation of your shop or office space but also delivery your all important message. We are happy to advise on layout and design as well as to discuss the production options available. 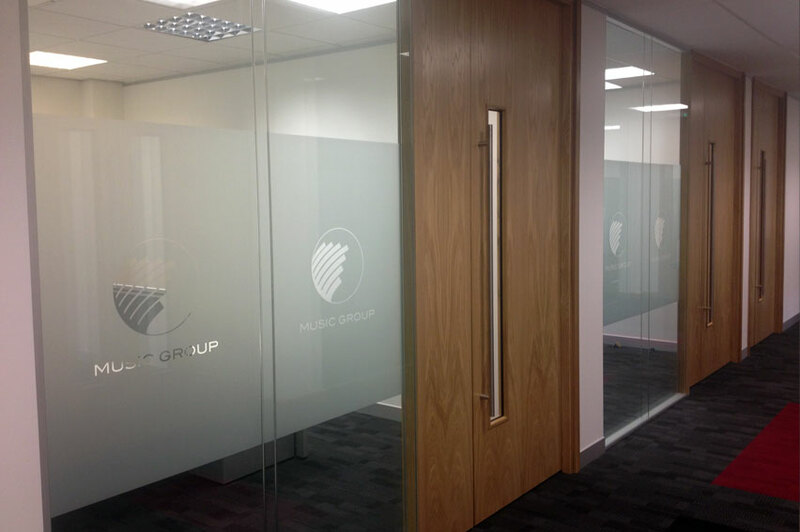 For increased privacy, subtle branding or even to hide a multitude of sins, Stretford Studios can provide high quality Etched Glass vinyl installation and window tinting. 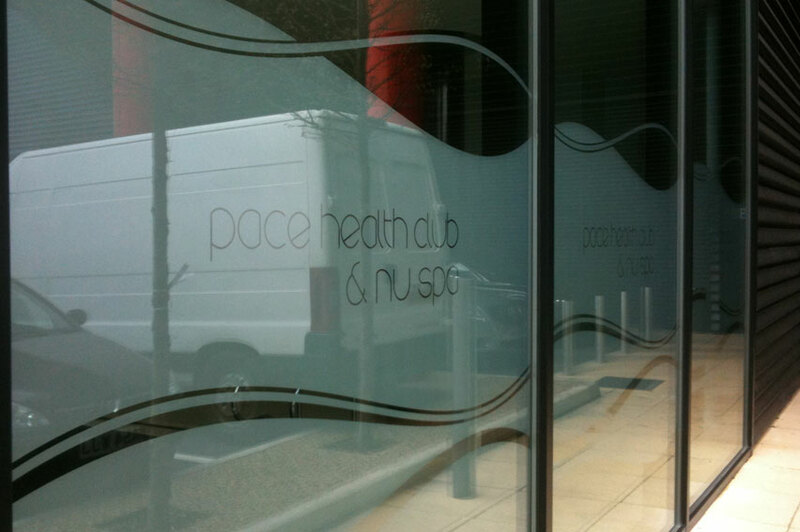 Popular in offices, hotels and premium retail outlets, our Etched glass solutions look fantastic. Frosted glass window vinyls can be provided as plain sheets or computer cut. Allow logos, branding or advertising messages to be easily incorporated in to your display. Window tinting should not be confined purely to cars and vehicles. Stretford Studios regularly advise the installation of window tinting for many different locations. In addition to varying grade of window tints, we can also provide anti-glare and insulation vinyl for windows in direct sunlight or those rooms which do not benefit from double glazing. Please fell free to contact us to discuss any queries you may have about our window graphics and tinting. Get The Label Discount designer clothing, Up to 75% off mens, womens, boys & girls clothing.